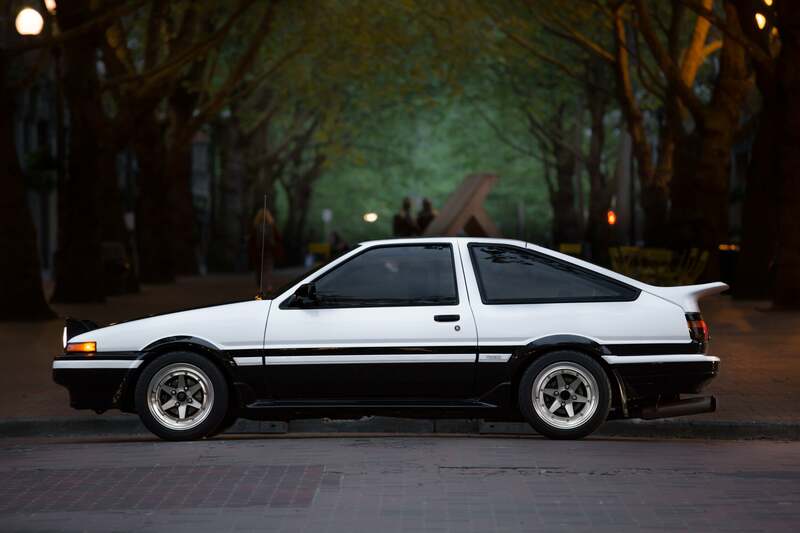 Having recently become transfixed with the concept of two-tone and multi-tone paint jobs that just seem to work, it’s only fitting that I pull Eric’s picture of a Toyota AE86 out of my inbox and share it with all of you to adorn your desktops. Photo credit: Eric Schofhauser. Used with permission. For more photos, you can check out Eric’s Instagram, @schofhausermedia, Eric’s Facebook, and Eric’s website. For a big desktop version of the photo to save, click here. Thanks, Eric!